By optimizing product images on a web page, cropped images can be fitted into an area in a page that would make the content load quickly. With photo clipping service, clients could not only resize an image but also do web page image optimization professionally to bring desirability to their website. Web page image optimization necessitates for product images in e-commerce. Many e-commerce sites require that every upload should meet a 500 to 1500 pixels image quality as a standard. To make the page load quickly and provide a smooth page to page transition means to present desirable images and ones that make customers stay on the e-commerce page for longer. 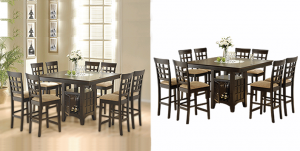 Below are three photo edits an editor in a clipping path company does to make product images web-savvy. Sometimes, the images taken with the camera may tilt or bend, whereas the misalignment may also occur while scanning the photo in Photoshop. Regardless, if the photo needs to rotate in a specific angle for better alignment, editors use the Measure tool in Photoshop. Then using the Crop tool, editors straighten the photo, crop its size as required, and trim around the photo’s border at any rate. To put the image in proportion, editors crop the unwanted areas on the photograph’s background with either the Crop tool or the Marquee tool. After that, editors put a Drop Shadow or the Reflection Shadow to the product image’s background. E-commerce web pages use product images with white background most of the time, so editors usually use white shadow drop or the reflection shadow drop for that. A common photo editing technique used by editors in photo clipping service to make an image web-savvy is the complete background removal. Editors draw a clipping path using the Pen Tool in Photoshop to change or remove the background of the image. 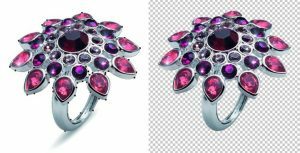 In fact, Magic Wand tool or Quick Selection tool in Photoshop also lets editors draw clipping path but Pen Tool has been popular in clipping path service of late. The Drop Shadow web-optimizes the image with immense depth. After all, product images in e-commerce have shadow background on apparels, reflective (on jewels), nil background (on gadgets), or depending on the product type.